Back in December my parents had gotten me a subscription to Glam Bag (formally known as Ipsy) for Christmas. I've been on the waiting list forever, but this month I finally got through and received my first bag! I think monthly beauty subscriptions are super fun and a great way to try out new products. Here is what I got in this month's bag, " Beautifully Bohemian". Overall, I was really impressed with the presentation of the package and the bad the items came in. 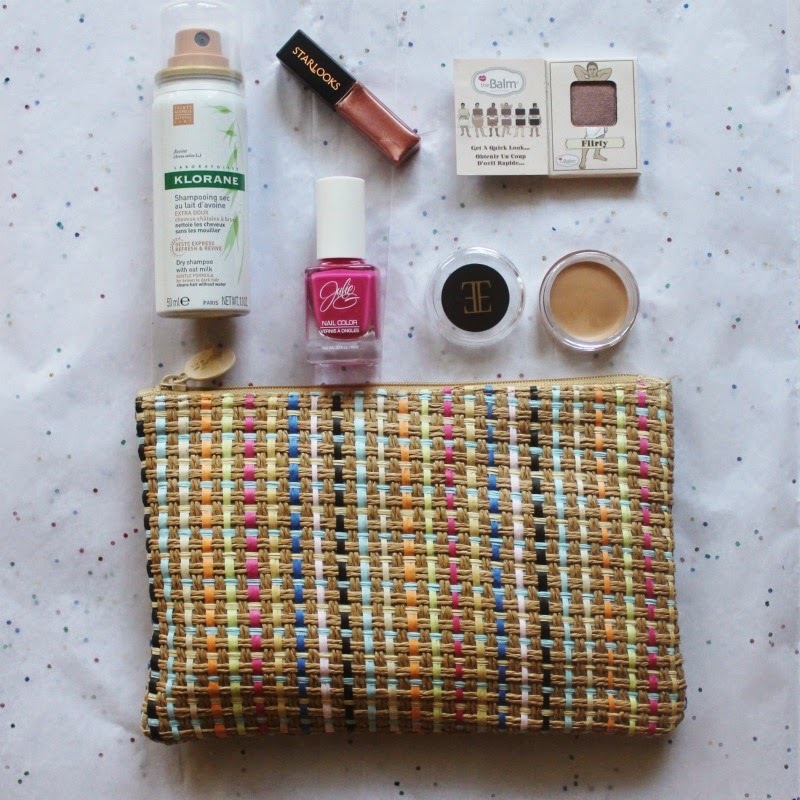 It's a pretty woven makeup bag that's lined on the inside and super roomy. This will just be a great item to use while traveling! I've been wanting to try out theBalm for awhile now and so pleased with this fullsize sample eye shadow. The packaging is just so darling and cheeky + not to mention the shade is gorgeous and buttery smooth. 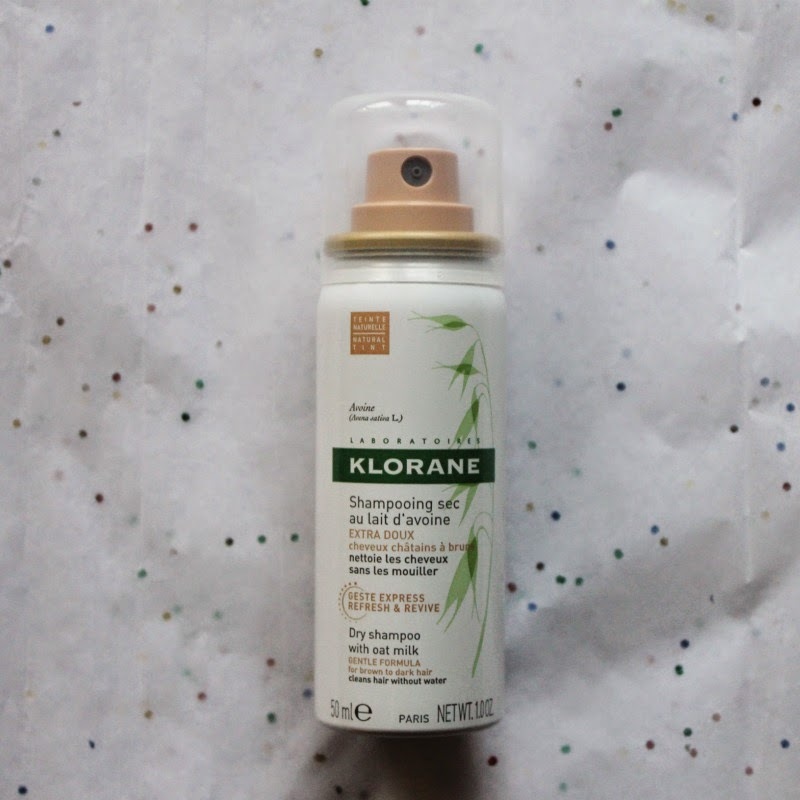 I remember trying this dry shampoo a few years ago when I was subscribed to Birchbox and really liked it. I don't wash my hair every day, so around my bang area it can get a bit greasy with me constantly touching them. This takes away all that with one simple spray! I'm not a huge nailpolish person in general because my OCD has me always picking at my nails if I have it on, or cringing at the sight of any little chip. I like the idea of nailpolish, but it's hard to get it to work for me! So when I saw this, I wasn't that excited and the hot pink color didn't thrill me (I'm more of a neutrals gal). But I applied it tonight, just one coat and was blown away. It is so opaque and doesn't need a million coats, plus this is the fastest drying stuff I've ever tried. 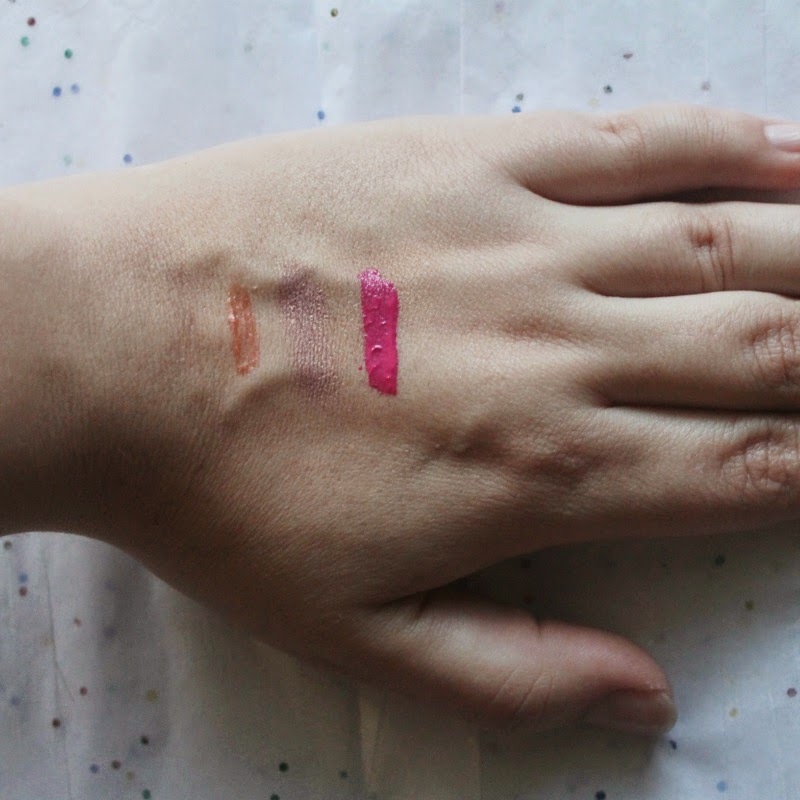 When I swatched the color on my hand and went to wipe it off minutes later, it wouldn't budge! Still, after washing my hands multiple times this evening it's there. Also, my nails didn't chip when I was cleaning the dishes which is a huge shocker because usually they always do. I can deal with the color for this amazing formula! Even more than not being a nail polish person, I'm definitely not a lip gloss person. 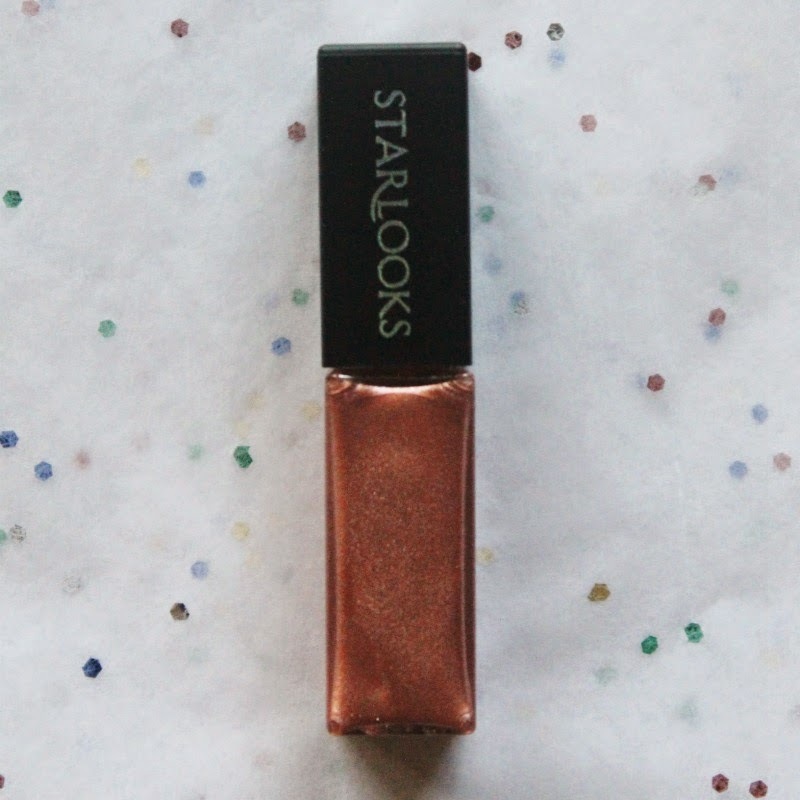 And sadly, this lip gloss combines all the things I hate. It was the one disappointing product of the bag for me. I found it sticky, gloopy, and just a horrid, unwearable color. 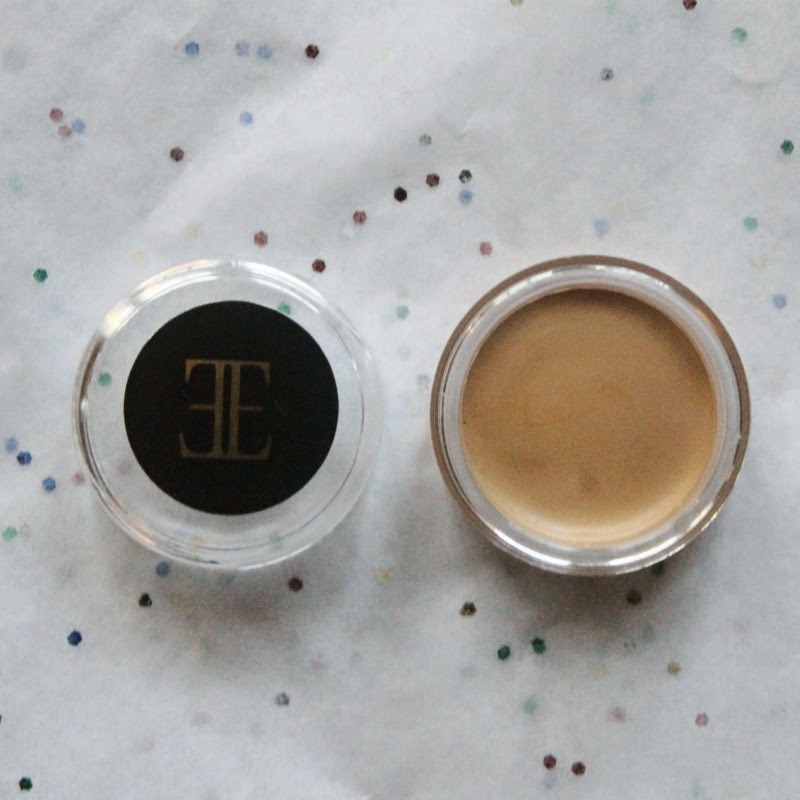 My final item was this concealer which I was excited to try since I have bad under eye circles. I got the tarte cc concealer cream a few weeks back and wanted to see how this compared. I like this concealer and feel like it is very creamy, very easy to apply. It didn't crease or cake on me and did a pretty good coverage job. I feel like it's better suited for dark spots/blemishes though versus undereye circles. Maybe Tarte's undereye concealer is just a holy grail for me, but this just didn't cover the circles as much as I would have liked. And, that's it! I am looking forward to next month's Glam bag to try out some products and find some new favorites :) Do you all get the Glam bag? If so, what did you think of this month's selection? Ive never tried glam bag but I have had tried a few other monthly subcriptions. Currently I get the Goodebox and Petit Vour. They both are natural beauty boxes.